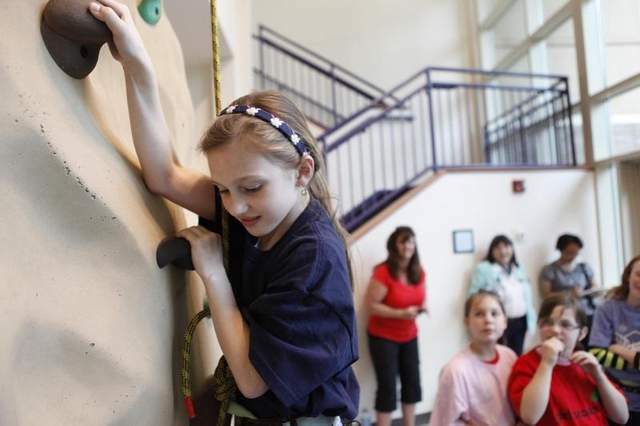 Kentucky's Courier-Journal reports that Girl Scouts is keeping girls engaged — in Kentucky and beyond — a century after the organization’s founding. Birthday celebrations have been held in Louisville this month, and thousands of people are expected to attend Girl Scouts Rock the Mall, a gathering in Washington, D.C., in June, to mark the organization’s 100th year. Though many people associate Girl Scouts with cookie sales and camping, members also do a lot of service projects. Near the climbing wall at a headquarters building on Lexington Road are hundreds of birthday boxes that Scouts have made. They contain items to help underprivileged kids celebrate their birthdays. Other projects — ongoing or in the works — include a drive to support animals displaced by recent tornadoes, and there are plans to support the upcoming building of a Habitat for Humanity house in western Louisville. Girl Scouts of Kentuckiana serves approximately 22,000 members in 64 counties in western Kentucky and southern Indiana. Supporting these girls are 6,500 adult members (women and men). Adults are involved as volunteer leaders, consultants, board members and as staff specialists who serve in such areas as program development, adult education, outdoor education, volunteer management and administration.